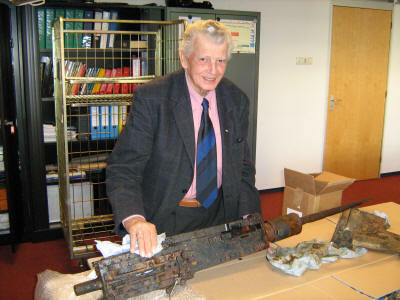 Henk Rebel started an investigation into the history of the Vickers Wellington Bomber PH-C nr. W 5361 which crashed on the 31st of May 1942 at the Akerdijk near Badhoevedorp. This was the start of Crash Research in Aviation History Society Holland 1940-1945 (CRASH ’40-‘45). His aim was the realization of a permanent exhibit about the air war and the resistance in Haarlemmermeer. That museum came to be realized and is now situated in an old fort at Aalsmeerderbrug near Aalsmeer due mainly to his tenacity and enthusiasm. In 1987 Henk started a working party. In May that same year the remains of the crashed Wellington were recovered. The entire crew lost their lives in that crash. He was of the opinion that the remains of crashed planes should not end up somewhere in a barn or garage. There had to be a reason to dig up these wrecks. Henk’s aim to realize a permanent exhibit came into being with the opening of a museum in an empty barn of the farm ‘Vondels Landleeuw’ in Abbenes. Here he was able to tell the story behind the crashes, the story of the crews that gave their lives for our freedom. What he experienced as a child during the Second World War was what pushed him and which made a lasting impression on him. Henk and other volunteers of the organization tried to contact not only the relatives of the perished flyers but survivors of plane crashes too. In 1995 at the commemoration of 50 years after VE-day three crewmembers, who crashed in and around Haarlemmermeer, were welcomed at the museum in (at that time) Abbenes. In November 2007 Henk welcomed the relatives of a Wellington crew member – the Irish family ‘O Callaghan. With them he visited the monument for the crew at the Rozenstraat in Badhoevedorp which was founded by CRASH at Henk’s instigation. He made extensive research into the various farms in the Haarlemmermeer polder, where the people who lived there formed part of the resistance movement by hiding hundreds of Jewish people who went into hiding during WWII. In doing so he was able to built exact models of these hide-outs. He was a modest person but obstinate. He was able to fascinate pupils of primary schools, who visited the museum, with the stories about what was going on in Haarlemmermeer during the war. With the stories about the people who went under ground and the residents of the Bogaard farm and Sam and Antje Breijer’s house, he got the children quiet as a mouse. In May 2007 he published a moving book about his experiences during the war: ‘A young rascal in wartime’. His perseverance has made it possible for CRASH to continue when it came to be known that the museum had to leave Abbenes. He was indefatigable in his search for a new location. He kept going after the municipal officials with suggestions, and in 2001 a shed was found in Lisserbroek. When it became known that the museum could not stay there either, the search started anew. When he saw the fort near Aalsmeer in Aalsmeerderbrug, it became clear to him that his museum had to be located there. The gratitude for Henk’s work was enormous in the Netherlands as well as abroad. To Henk what he did for survivors or relatives of plane crashes, was simply something one had to do. He saw it as an obligation, and not as a burden to honor our liberators and to thank them. Through his never ending sense of humor, his cheerfulness, his enormous perseverance and social attitude he stimulated and motivated others to keep on working for the museum until this day. The recognition for his dedication came on January 25th, 2008 when Henk Rebel received a Royal decoration. He was made Member of the Order of Oranje Nassau. The decoration was pinned on while he was in hospital. During 2007 it became clear that Henk health was declining. He passed away on February 2nd, 2008 aged 75 years, and many volunteers of the museum had to present their last greetings to their chairman and inspiring leader. 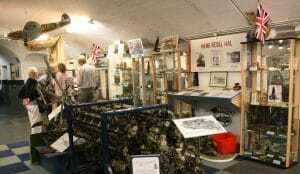 His work continues in the CRASH Air War and Resistence Museum ’40 – ’45. 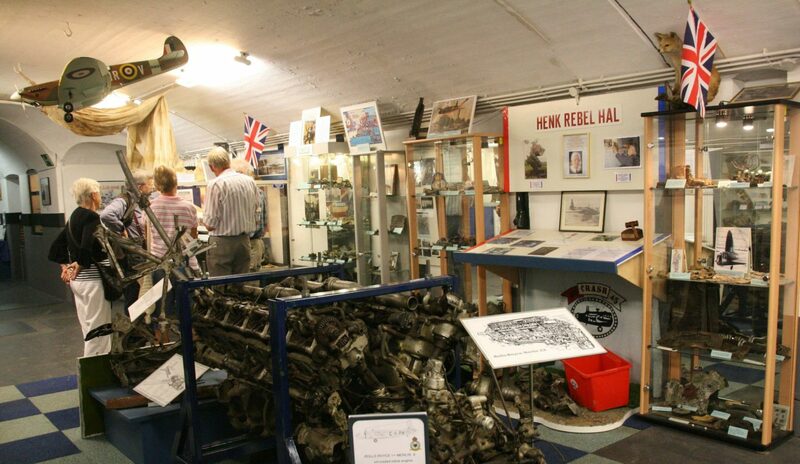 The bombproof passage in the museum is named Henk Rebel Hal as an everlasting remembrance to a man who served as an example to all of us and who was an inexhaustible source of inspiration.